Back in April 2010, an Android bug was reported which wouldn't allow a given device to resolve a hostname to the correct IP address on a local domain. 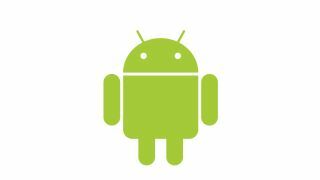 Though the bug only affected a small percentage of Android users, the original filing on Google's Android issue page picked up some steam as more and more people reported experiencing the issue. The bug appeared to cause the most consternation for IT professionals and the occasional students or professors at a university, so it didn't register very high on Google's repair radar initially. All that changed Wednesday, when Google finally responded to the thread, and indicated a fix was on the way. Unfortunately for all those still plagued by the bug, the fix won't be coming until the next version of Android arrives. "The fix for this has gone in thanks to Kevin Tang. It will be available in the next major release," said a Google employee responding to the thread. With the recent release of Android 4.2, it appears the fix just narrowly missed the release window, and users will now have to wait some time until the issue is actually addressed on their devices. This has caused a bit of frustration amongst the consumers still experiencing the issue at hand, which led to the same Google employee explaining why it will take so long for the issue to be finally resolved. "Guys, it was a matter of prioritization and resources. We don't have people to put on every requested feature and we certainly were not idle during this time," he stated. "I apologize it took so long. I can't say what the next version will be (neither know it nor can discuss it) but it will be after 4.2, which has already gone out." Though it may still take some time for the fix to make its way to the specific Android devices struck with this particular bug, at least the users can now look forward to resolution sometime down the line.